The National Capital Territory is the Region that House India's Capital. The National Capital Territory, or Delhi, is a union territory of India that includes the capital of India within its borders. 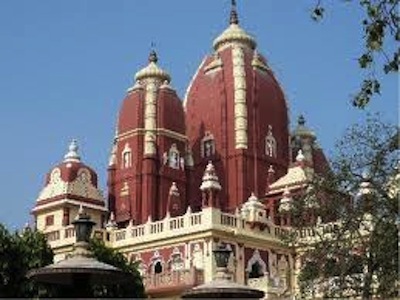 While, New Delhi is the capital of the Indian Federal Government, Delhi is the region of land that includes it. Following Mumbai, Delhi is the most populated city in India and the eighth most populated in the world! This union territory has more that 16,753,235 residents living within its borders! Its name comes from the Mauryan King Dhillu’s name. Delhi is located in Northern India. It is bordered by the Indian states of Haryana to its north, west and its south and Uttar Pradesh to its east. The region is broken into the two main geographic sections of the Yamuna flood plains and the Delhi Ridge. Its flood plains provide fertile soil for agricultural activities, but they are prone to monsoon flooding. The Yamuna, a sacred Hindu River, is the only major river flowing through Delhi. All in all, The National Capital Territory of Delhi covers 573 square miles. The climate of the National Capital Territory is typical of India. It receives a lot of rainfall during the July through September monsoon season. Summers are hot and long beginning in April and ending in mid-October and ends in March. The temperature here ranges from 30.9 to 116.1 °F. The union territory sees about 28 inches of rainfall each year, which often floods the plains in the region, affecting farming. The region has been occupied since at least 6th century BC, the time period known as ancient India history. It may have been occupied since 2nd century BC, but there is no definite evidence to support the notion. Many Indians believe this union territory is the site of the legendary Indraprastha, the capital city of the Pandavas of the Indian Epic Tale of Mahabharata. Archaeologists have uncovered remains of at least seven different ancient cities here. The Mauryan Empire built additional cities here from 300 BC. In 1206, during India's medieval history, the first ruler from the Turkish Slave Dynasty, established the Delhi Sultanate. He began the construction of Qutub Minar Mosque and brought Islam to the region. The Slave Dynasty fell and a series of Turkish Dynasties subsequently ruled the region, building forts and townships as they ruled, such as the famous Red Fort. In 1398, the indigenous people were invaded by another Muslim named Timur Lenk. He invaded India because he believed Muslim Turkish rulers were too tolerant on the Hindu’s who practiced the Hindu religion, rather than Islam. He destroyed the city and killed more than 100,000 Hindus during his violent campaign. This is another example of disputes over religion birthing bloodshed. In 1526, a descendent of Genghis Kahn and Timur Lenk named Zahiruddin Babur invaded India and defeated a Sultan Ruler in the First Battle of Panipat; in doing so, he originated the enormous Mughal Empire that ruled from Delhi and Agra, India. The Mughal dynasty ruled Delhi for more than three centuries, with the exception of the years 1540 to 1556, when Sher Shah Suri ruled the region through 1553 and when the Hindu king Hemu Vikamaditya ruled from 1553 through 1556. Vikamaditya took the throne when he defeated a Mughal Emperor named Humayun in the cities of Agra and Delhi. The Mughals reestablished their rule after their army defeated Vikramaditya during the Second Battle of Panipat. Shah Jahan, the King who built the Taj Mahal for his late Hindu wife, also built the seventh city of Delhi named Shahjahanabad. After 1680, the Mughals lost power to the Hindu Maratha Empire. In 1737, Maratha took the National Capital Territory region of Delhi after they beat the Mughals in the First Battle of Panipat. In 1739, the Mughal Empire lost a battle to the Turks, which allowed for many the Turks to steal many valuable treasures. Because of this loss, Mughals signed a treaty with the Marathas in 1752; this made Marathas the protectors of the Mughal throne at Delhi. The Afghans invaded in January of 1757, but Marathas regained full control after defeating the Afghans in the Battle of Delhi. The Marathas lost Delhi to the Afghans again in 1761, when they lost the Third Battle of Panipat. In 1771, Mughal king Shah Alam took the throne for the Mughals. In 1803, during a war called the Second Anglo-Maratha War, the British defeated the Maratha forces in the Battle of Delhi and the region fell under the direct rule of the British Government after the failed Indian Rebellion of 1857. During that time, the territory was made part of the state of Punjab by the British. In 1911, the capital of British India was moved from Calcutta to Delhi. Once India gained its independence Britain on August 15, 1947, New Delhi was made the capital of the Union of India. When the partition of India occurred, separating India from Pakistan, many Hindu and Sikh refugees, mainly fled to Delhi and many many Muslim residents of the city migrated to Pakistan. The Constitution’s 69th Amendment Act of 1991 declared the Union Territory of Delhi to be formally known as the National Capital Territory of Delhi, hence its two names. The Supreme Court of India is housed in Delhi, and the regional Delhi High Court, the Small Causes Civil Court; the Magistrate Court and the Sessions Court for criminal cases, have jurisdiction over Delhi. The city is broken into nine police zones for law enforcement. The National Capital Territory of Delhi has its own Legislative Assembly Lieutenant Governor, council of ministers and Chief Minister. Members of the legislative assembly are directly elected by constituencies within National Capital Territory. 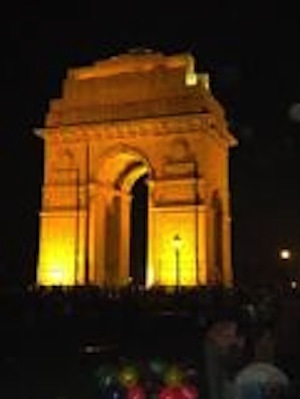 The Government of India and the Government of the National Capital Territory of Delhi jointly administer New Delhi, where both bodies are located. The Indian Parliament, the Presidential Palace, Cabinet Secretariat and Supreme Court of India are all located in New Delhi. The National Capital Territory is India’s largest commercial center located in northern India. It has an estimated net state domestic product of $28.72 billion per nominal terms. The per capita income here is roughly $2,500 per year, which makes it the third highest after Chandigarh and Goa. Delhi's Gross Domestic Product has grown roughly 10.7% in the last five years; this is significant because it means it is one of the country’s fastest growing GDPs and economies. The primary holidays celebrated here are those celebrated around India like Republic Day, 8/15 Independence Day and Gandhi Jayanti. The Republic Day Parade put-on here is a large cultural and military parade showcasing India's power. The traditional cultural religous festivals of Diwali, Mahavir Jayanti, Holi and others are all celebrated here too. The festivals and holidays I have mentioned barely scratch the surface of the regions celebrations, which primarily celebrate the importance of Indian family culture. Delhi is India’s oldest capital; for this reason, and because the Mughal Empire ruled the region for so long, Mughal food originated here and has influenced the Indian food here and many foods that are served and enjoyed in different countries. Some of my personal favorites are Kebobs,Tandoori cooked foods, butter chicken and Lassi. People here live a a fast pace! For this reason, people eat a lot of street food here. Sit down restaurants are popular for those who want to sit down and enjoy a leisurely meal with friends. There are many schools in Delhi; the region boasts more than 165 colleges! Five medical colleges are located here and eight engineering colleges are present, but you can really get a degree in law, public administration or anything else you want. Delhi has hosted many major sports events including the Asian Games, the Hockey World Cup (yes Indians play Hockey) and the ever popular Cricket World Cup. Cricket and football are Delhi and India’s most popular games. Delhi's culture has been influenced by its rich and long history and its history as India’s capital. There are actually more than recognized historical buildings and 175 monuments recognized as national heritage sites. Some of these important buildings have become popular tourism destinations. Tourism in the region is spectacular, due in part to its rich history! During medieval history, the Mughals and the Turkic rulers constructed many gorgeous and important buildings, which are now historical land marks. Some of these are Jama Masjid, the largest Mosque in India, the Red Fort and Qutab Minar and Humayan’s Tomb; they are all located within Delhi. 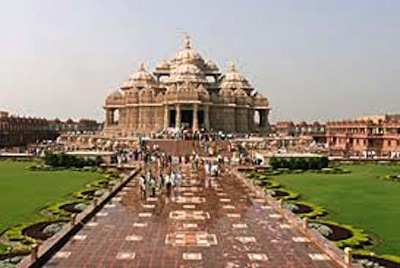 In addition, tourists flock to the Delhi’s modern architecture sites like India Gate, Jantar Mantar, a fortress from the 16th century called Purana Qila, the Laxminarayan temple, Akshardham Temple, the Hahai Lotus Temple and Iskcon Temple. There are also memorials to Mahatma Gandhi and other notable Indians here. For people who want to shop in an old-school marketplace, there is Chandni Chowk. Leave the National Capital Territory to visit other Indian states and union territories. Explore what it's like in India today! Here are some useful travel tips, if you're thinking of visiting India. Discover much more about India by visiting our homepage.